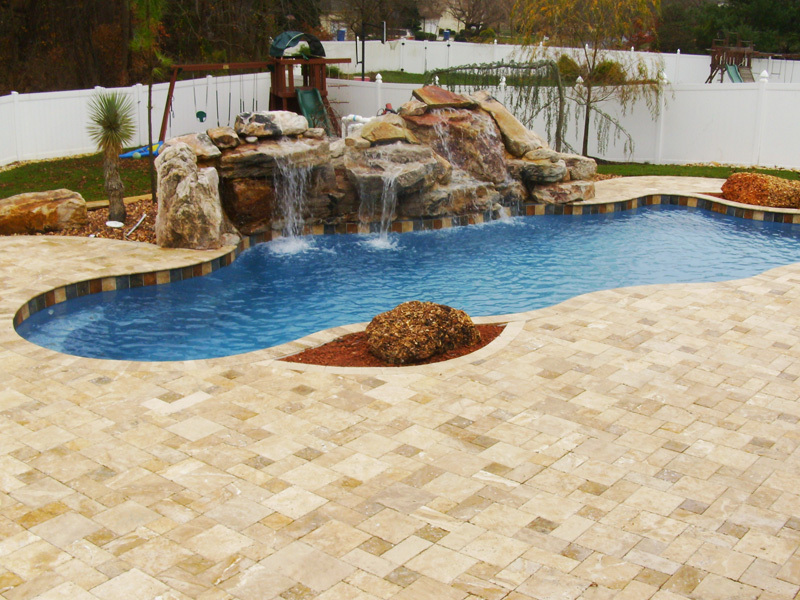 Choose a Feature below or scroll down to see even more! 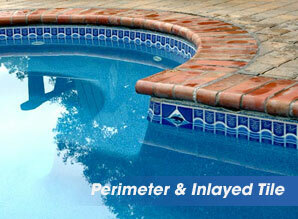 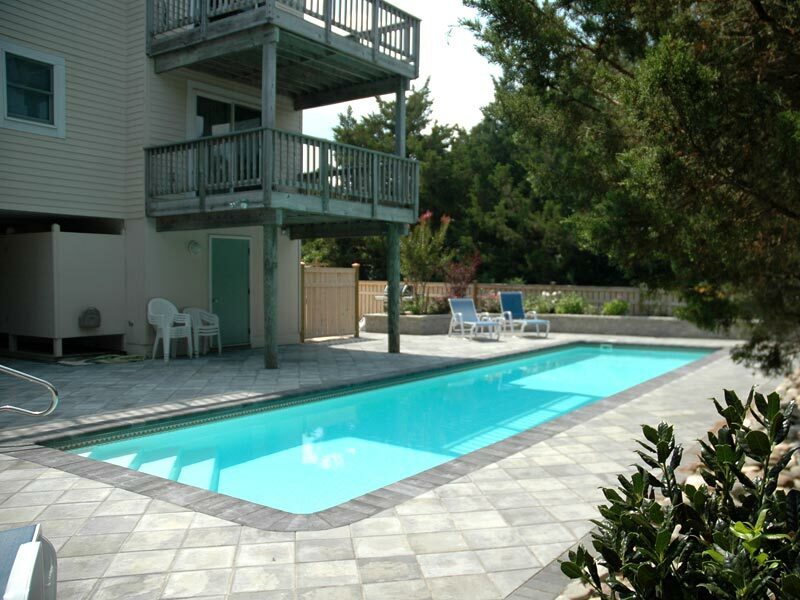 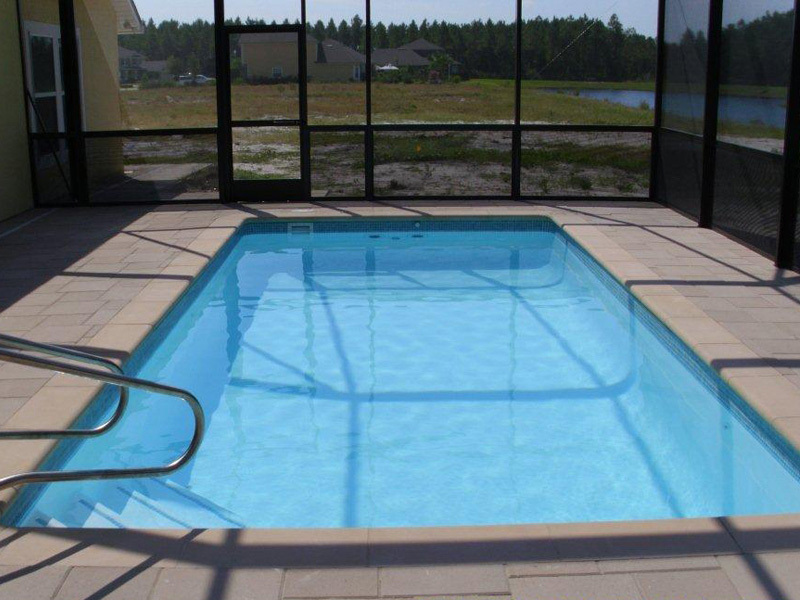 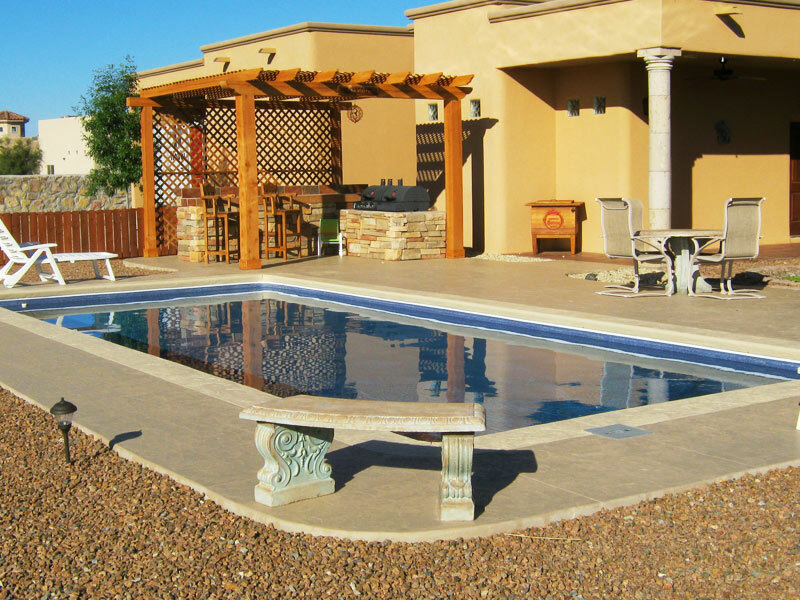 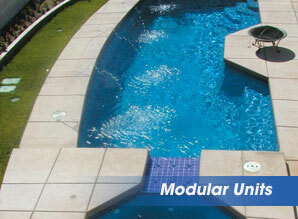 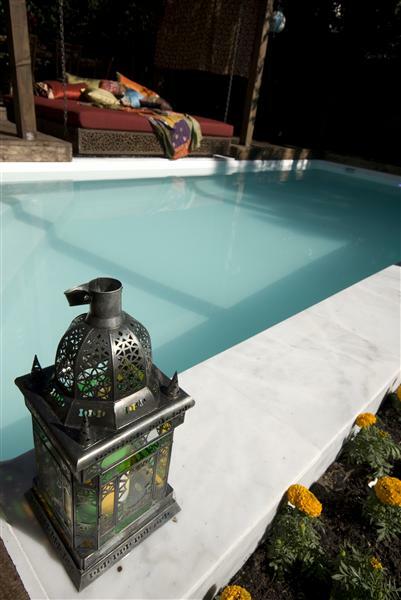 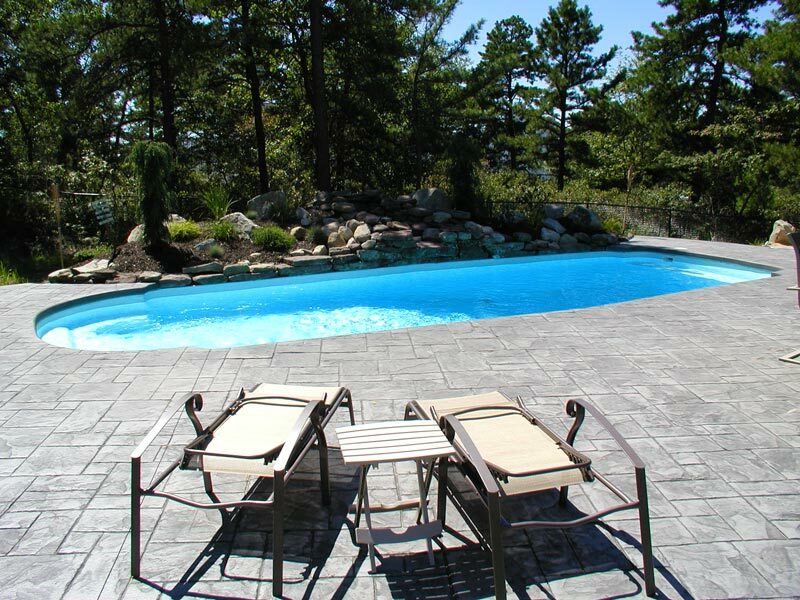 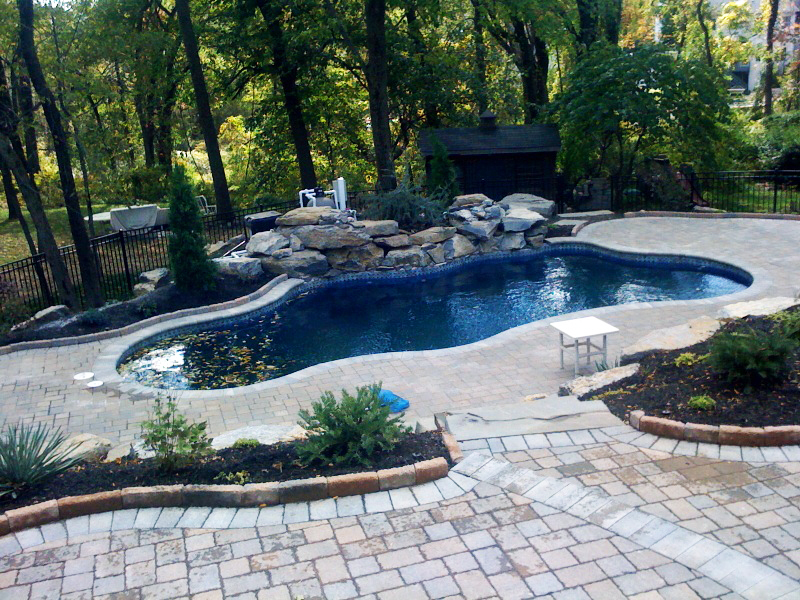 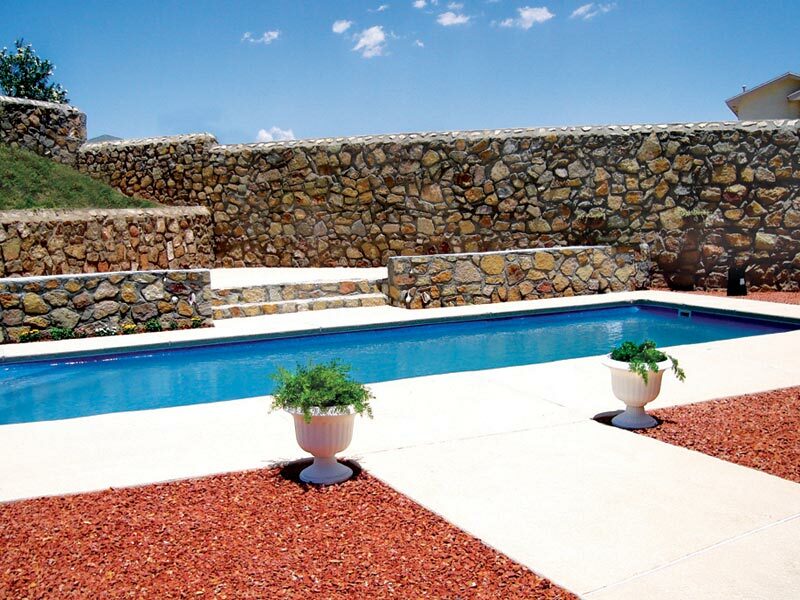 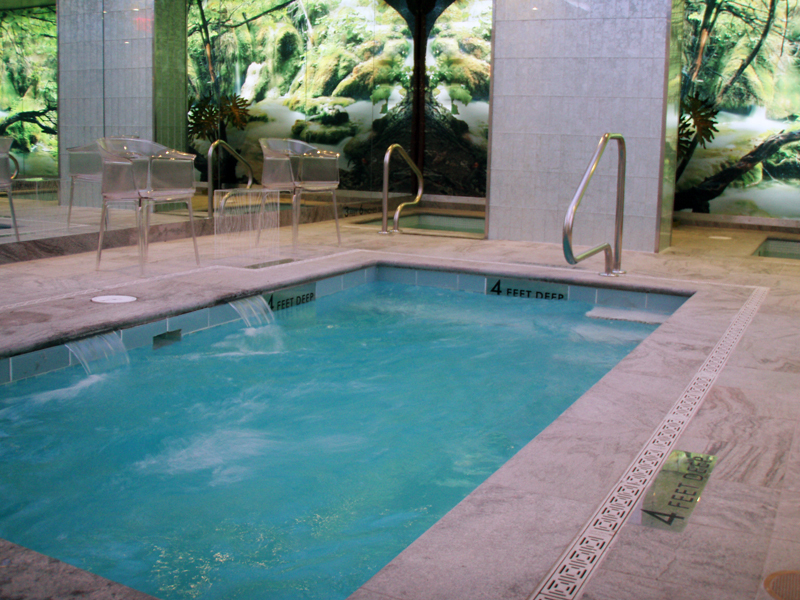 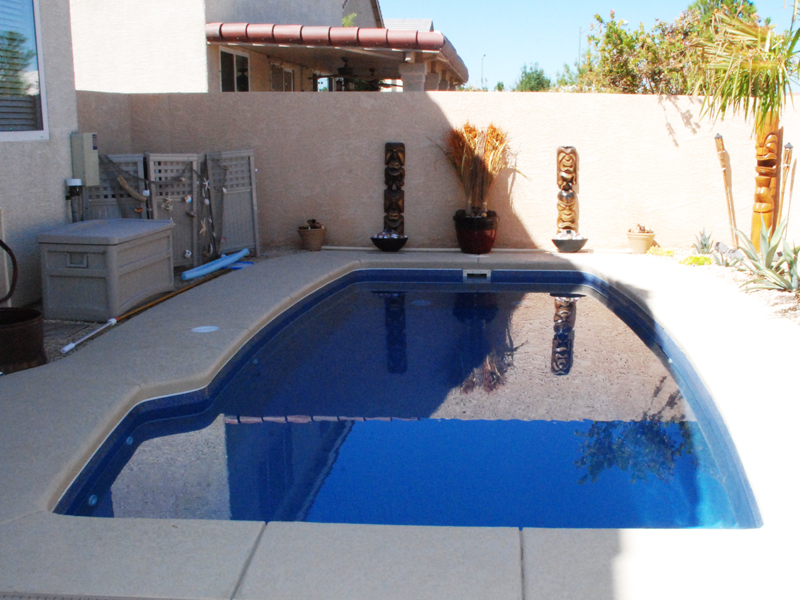 Aquamarine Pools offers a large selection of perimeter & inlayed tile for your pool. 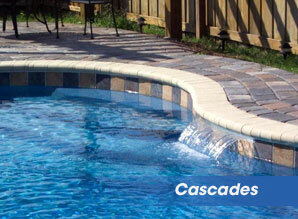 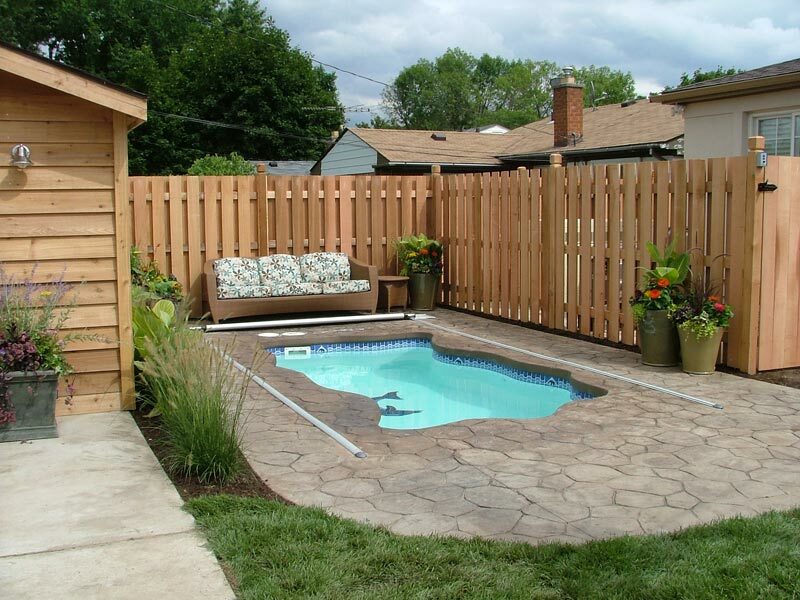 It is a great way to emphasize your pool's borders, stairs, and seats. 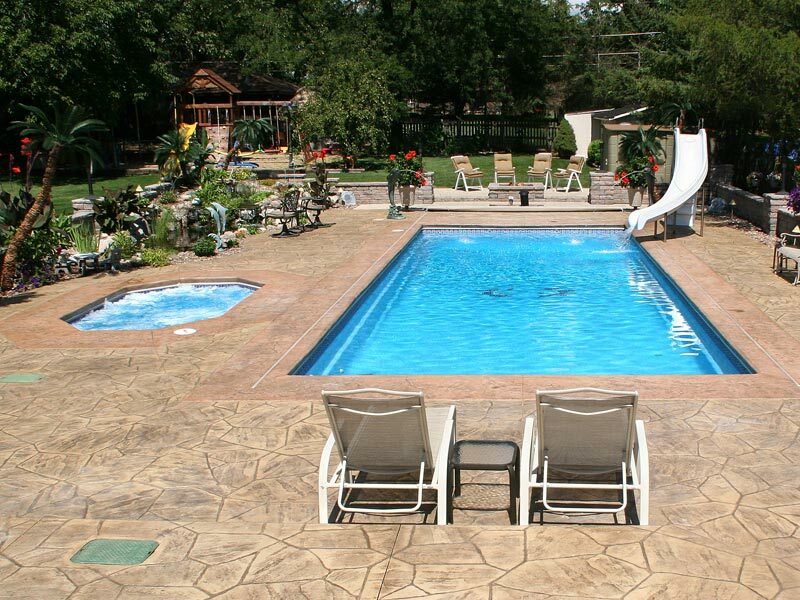 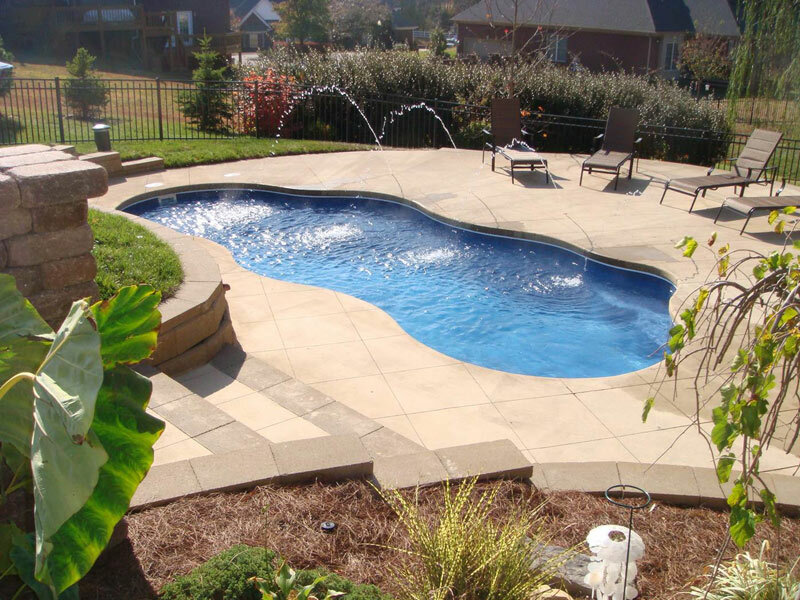 Aquamarine Pools uses NPT (National Pool Tile) which prides themselves on the quality and diversity of their products, and a commitment to maintaining the highest level of customer service. 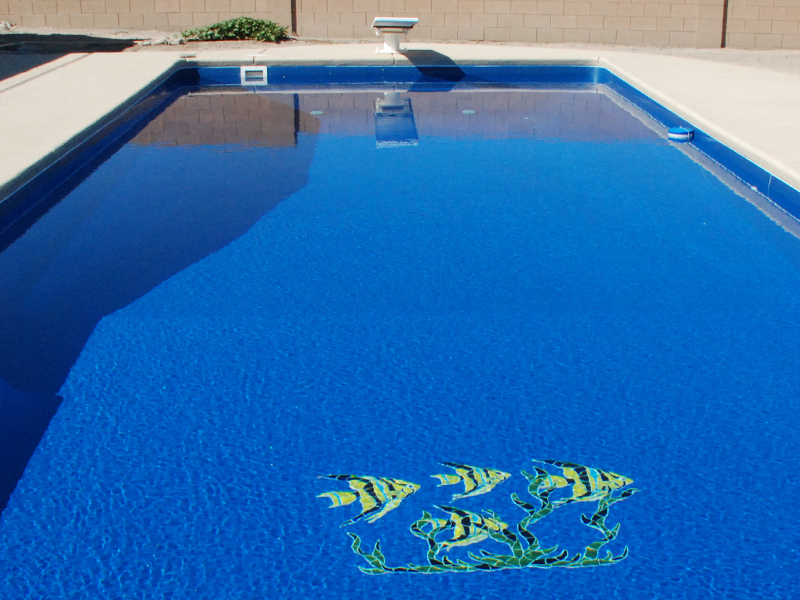 Aquamarine Pools also offers mosaics from Artistry in Mosaics Inc. to help your pool stand out, giving it that custom look. 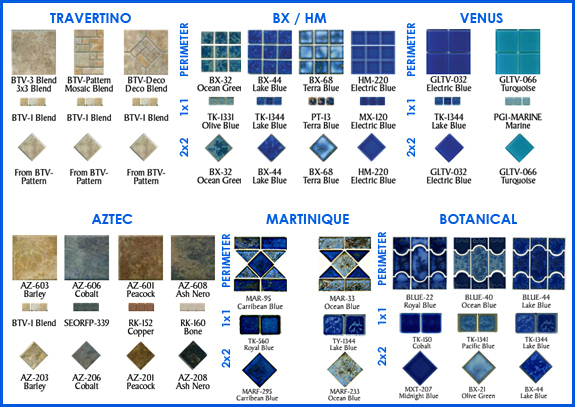 There are many different style options. 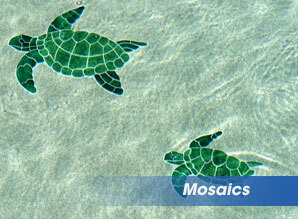 Visit the Artistry in Mosaics Inc. web Page to see the styles offered here. 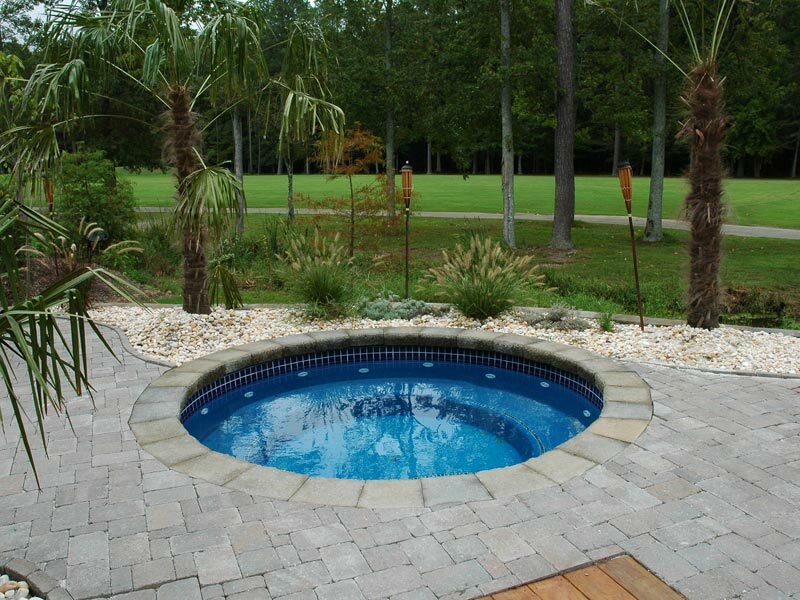 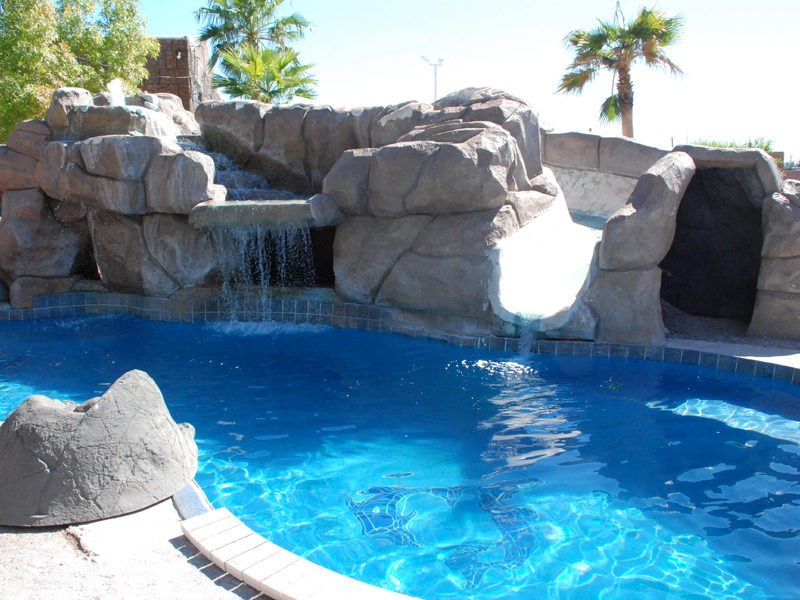 Aquamarine Pools offers a large variety of water features for your pool, everything from cascades to streams, vanishing edges, jets, spill-overs, aroma-therapy & custom built waterfalls. 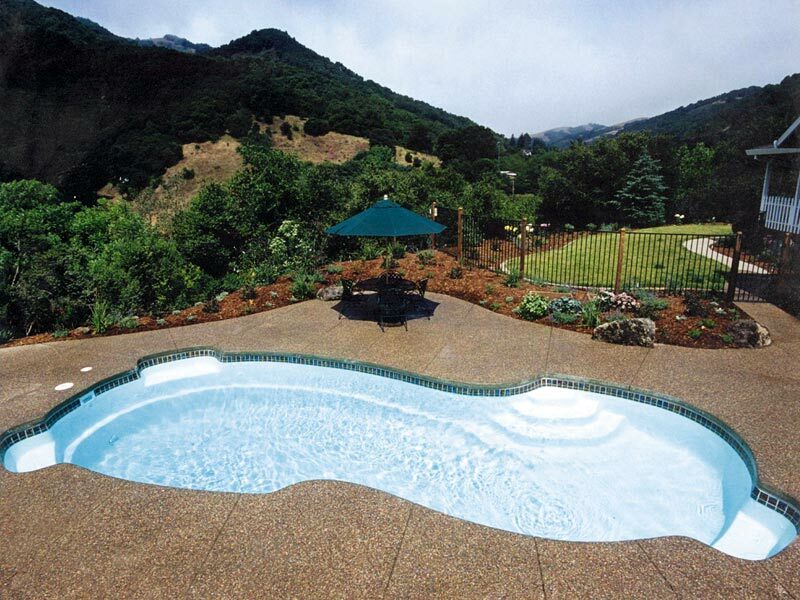 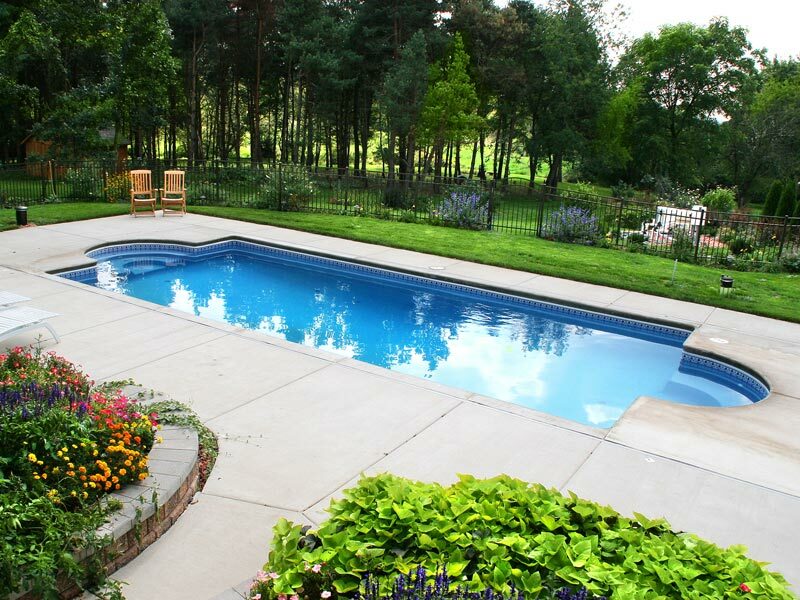 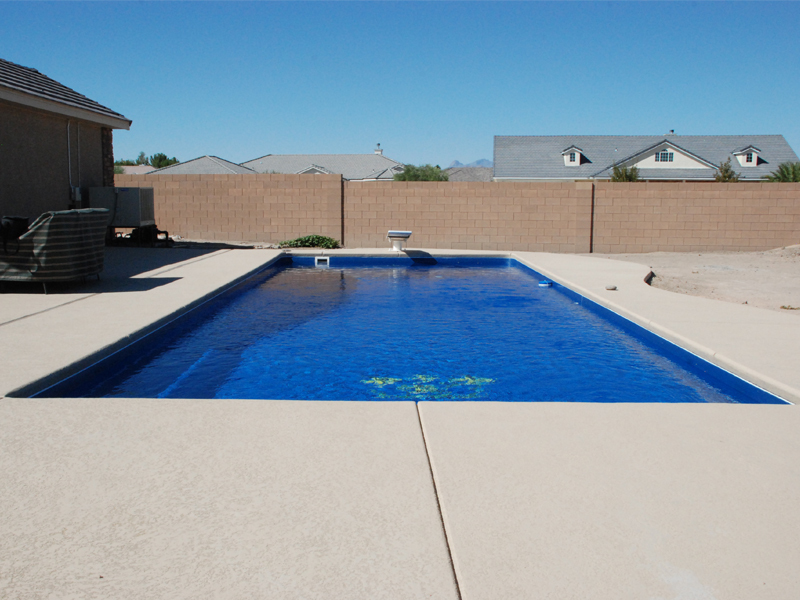 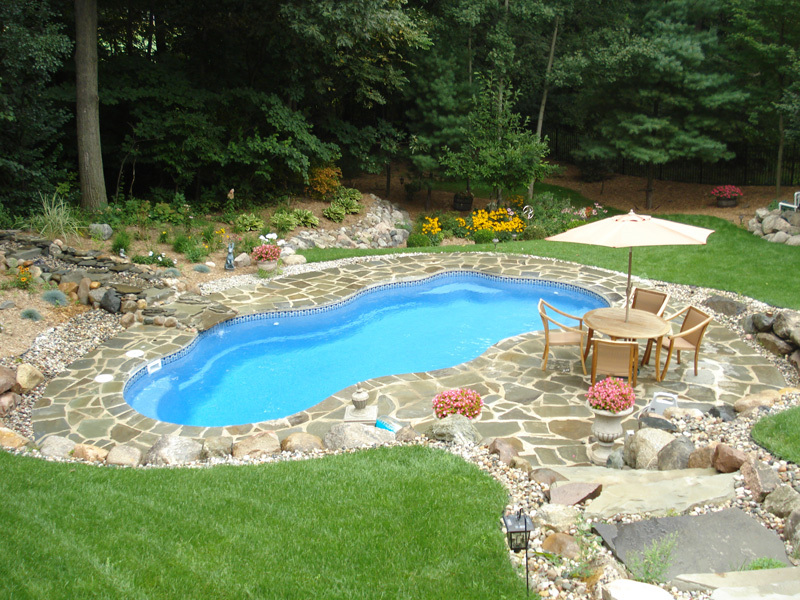 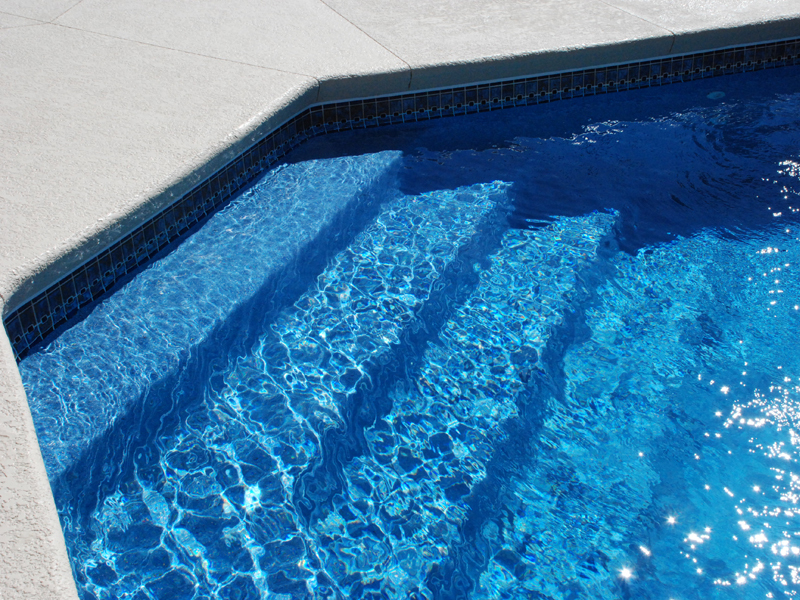 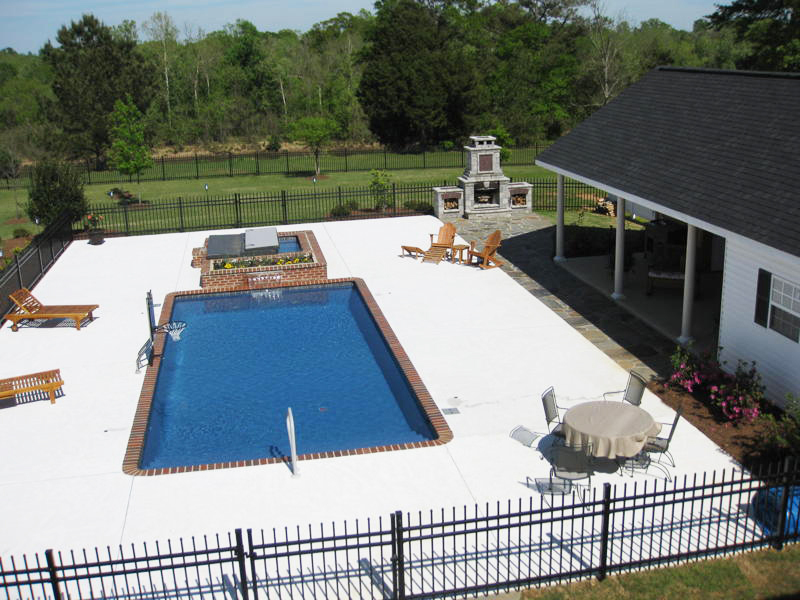 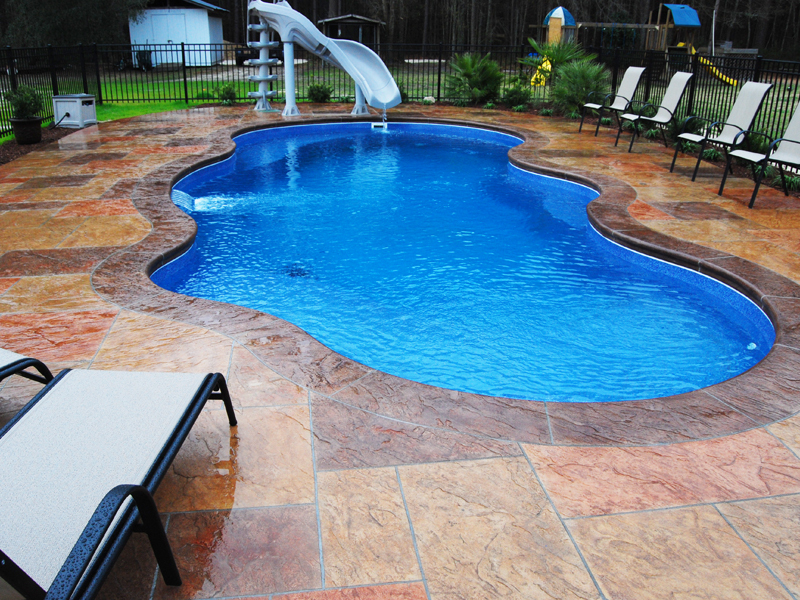 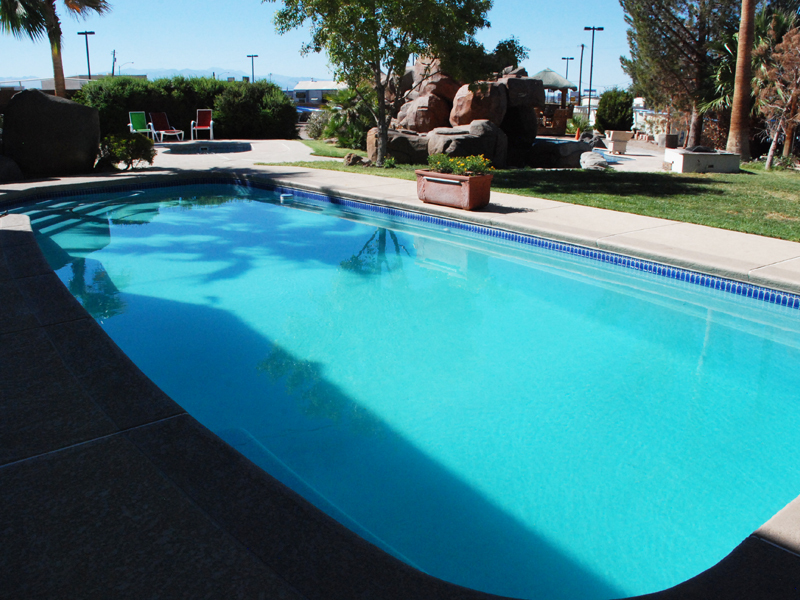 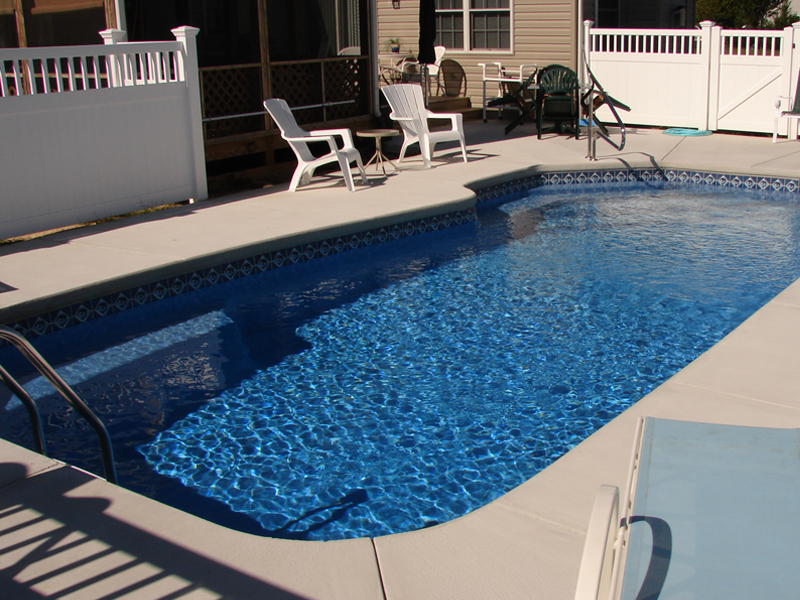 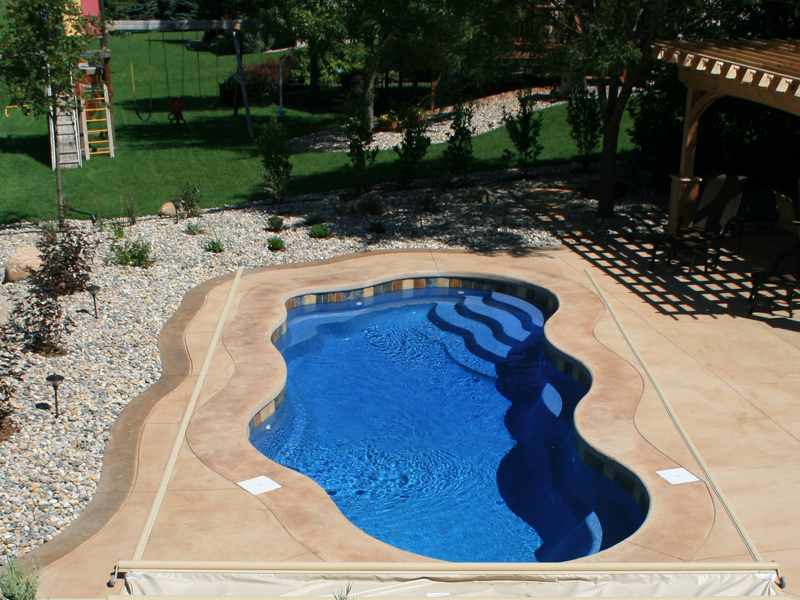 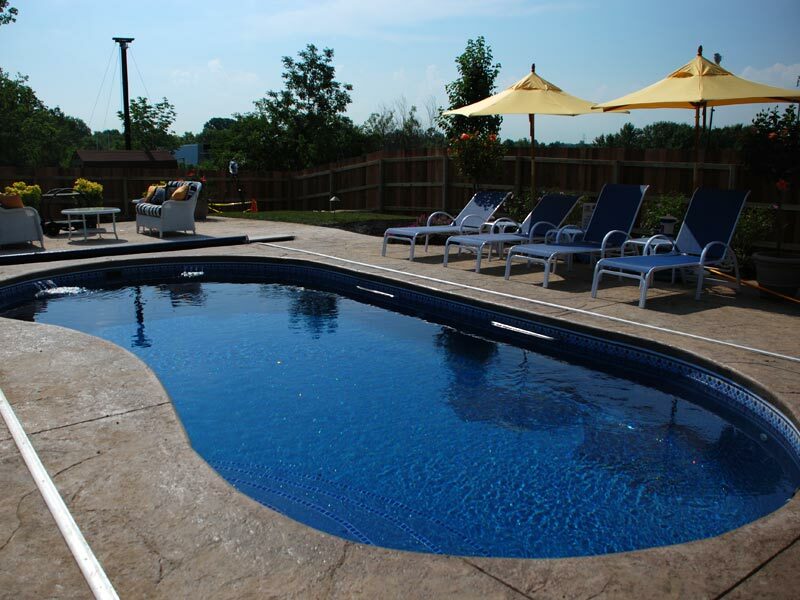 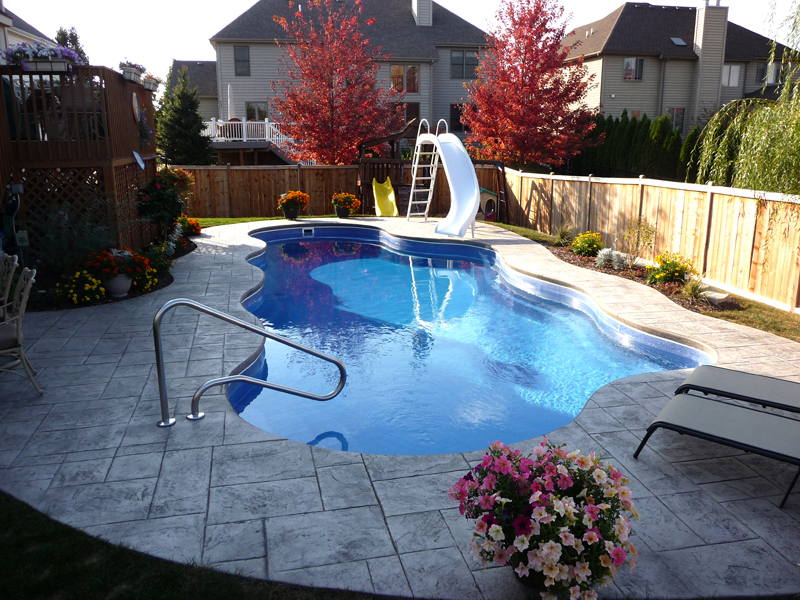 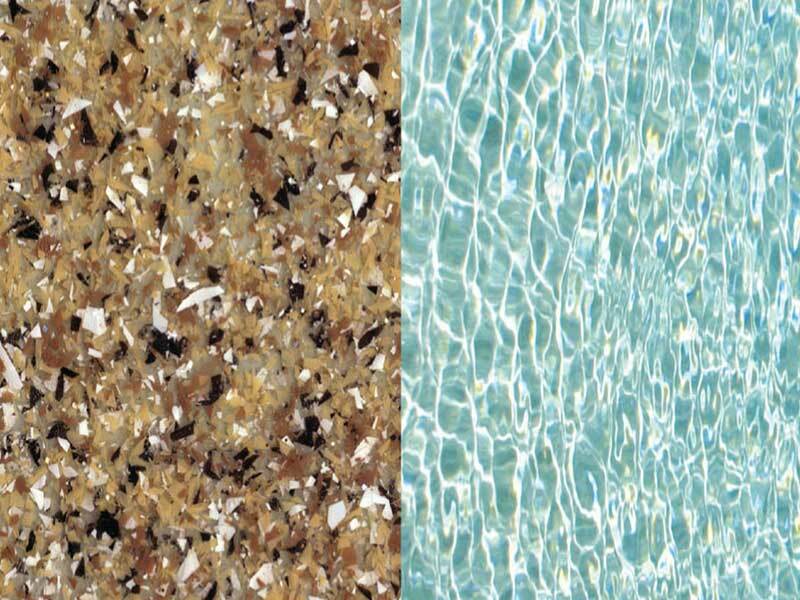 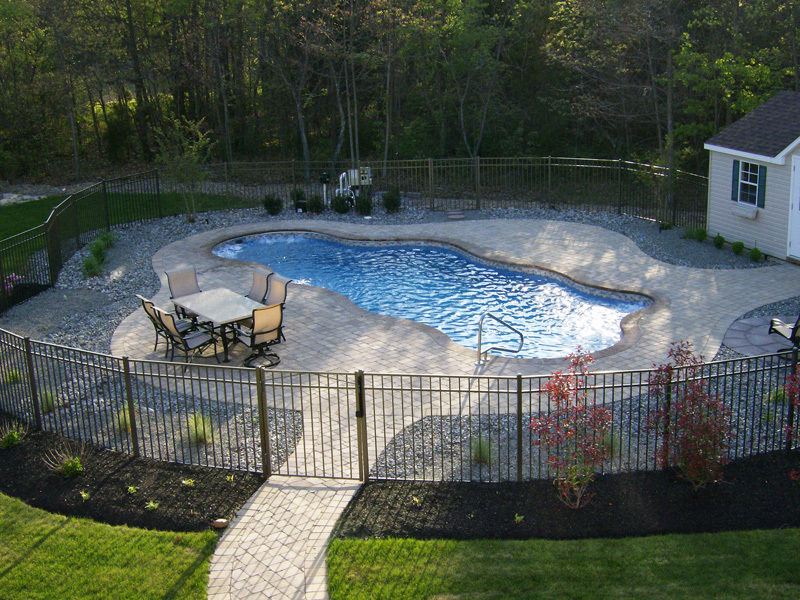 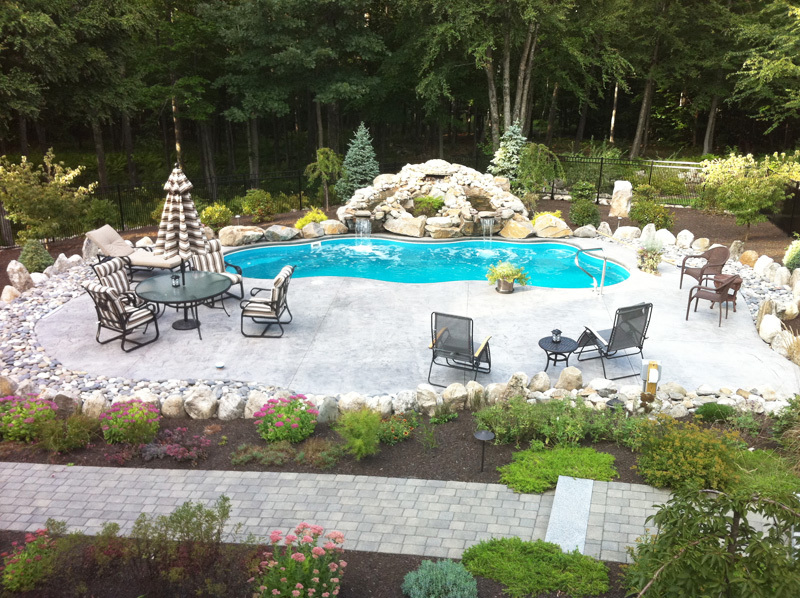 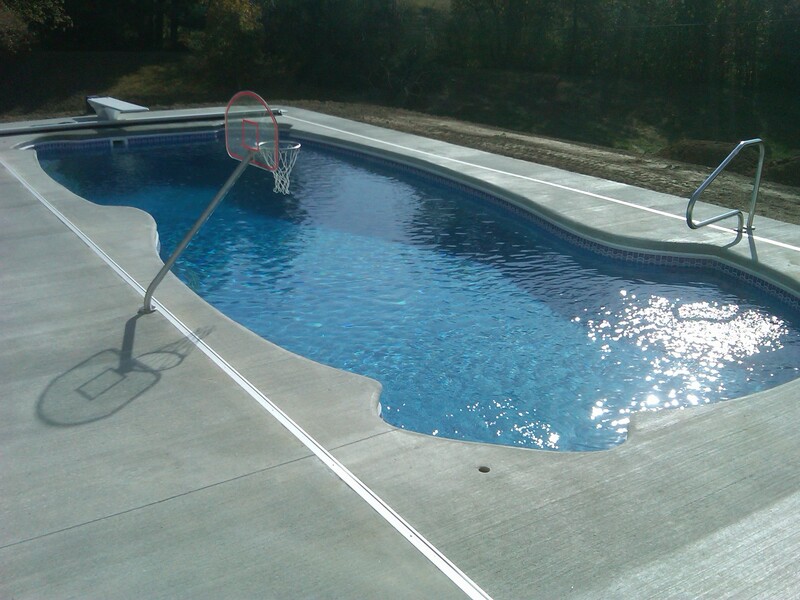 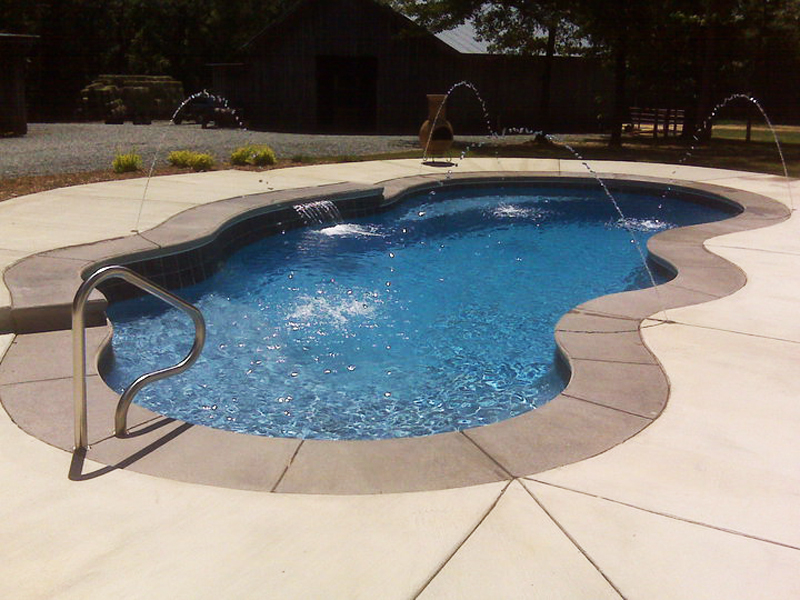 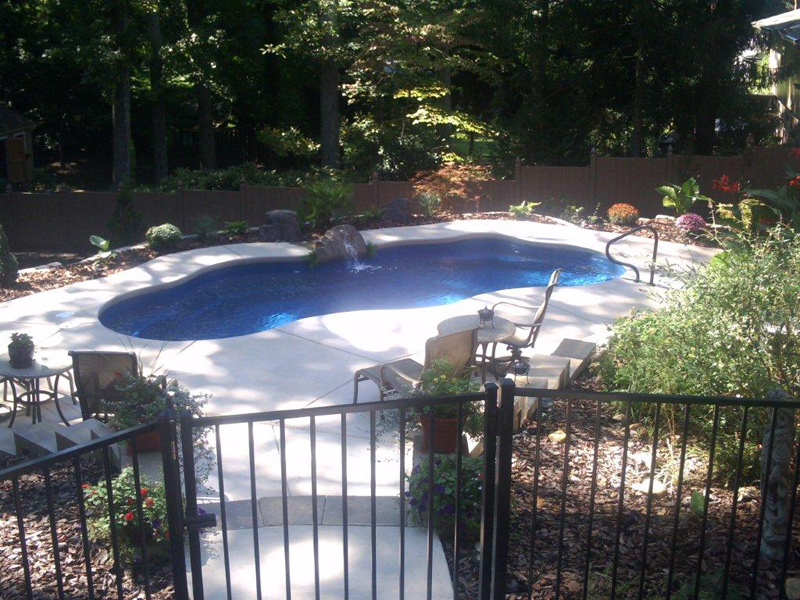 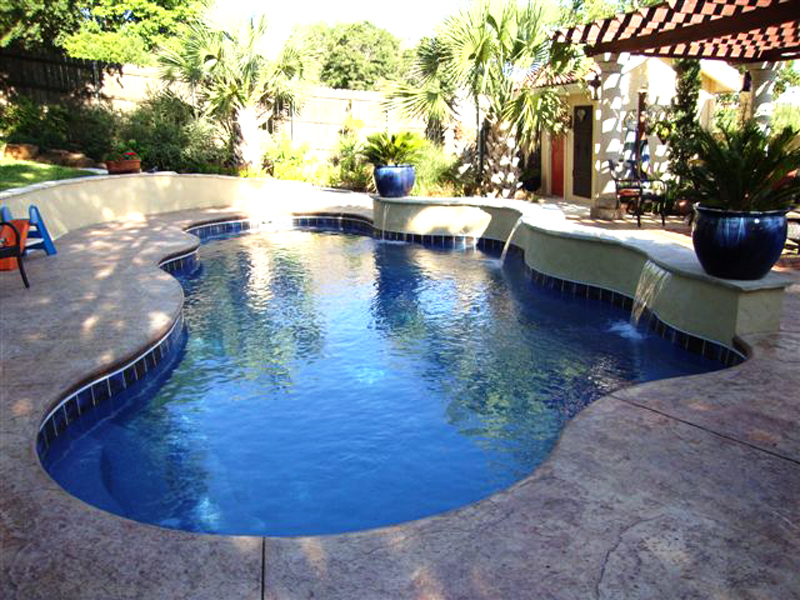 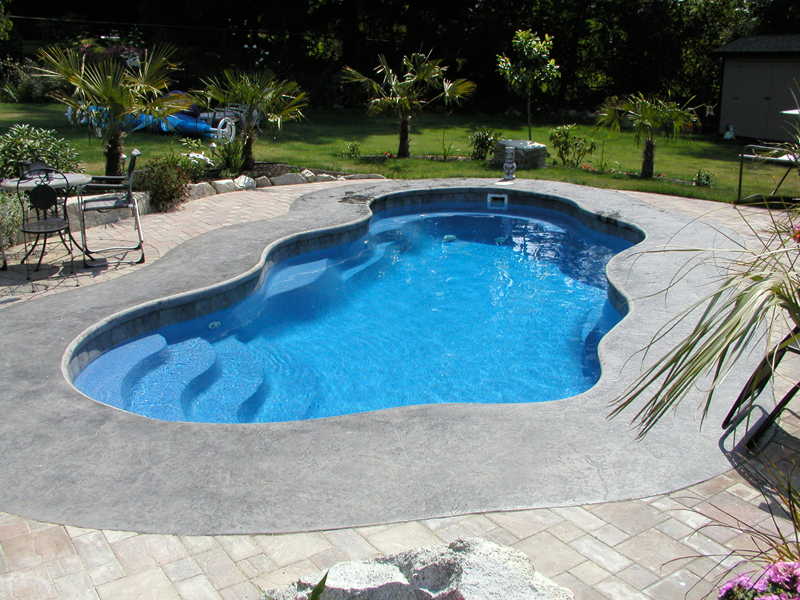 Aquamarine Pools offers many different types of concrete for your pool. 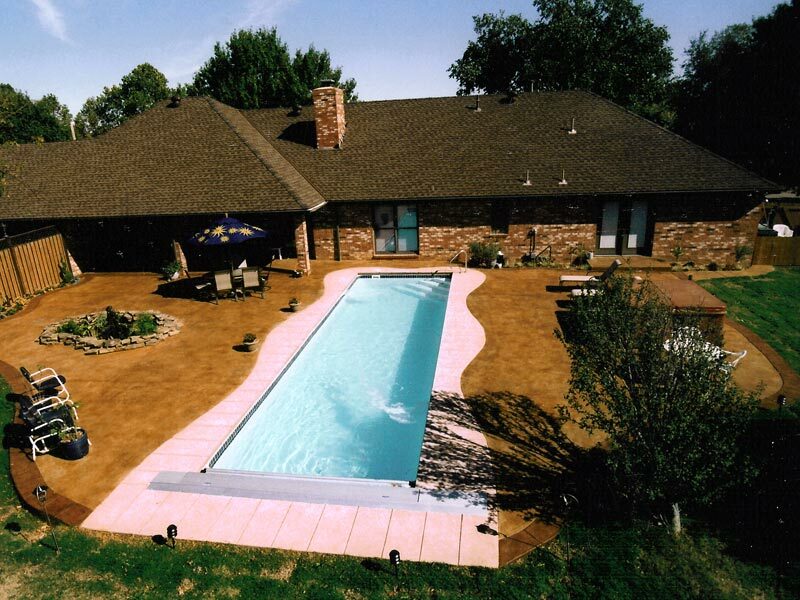 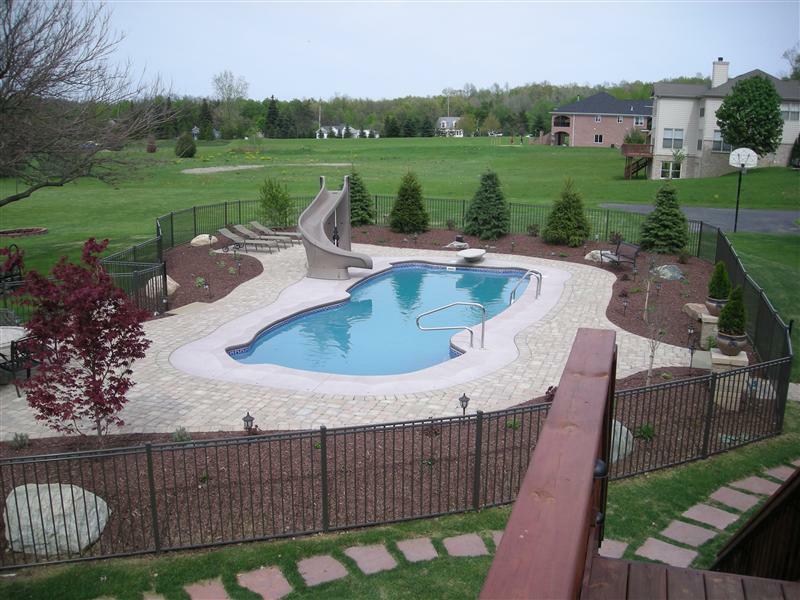 Everything from typical broomed concrete, cantilever edges, stamped concrete & color concrete. 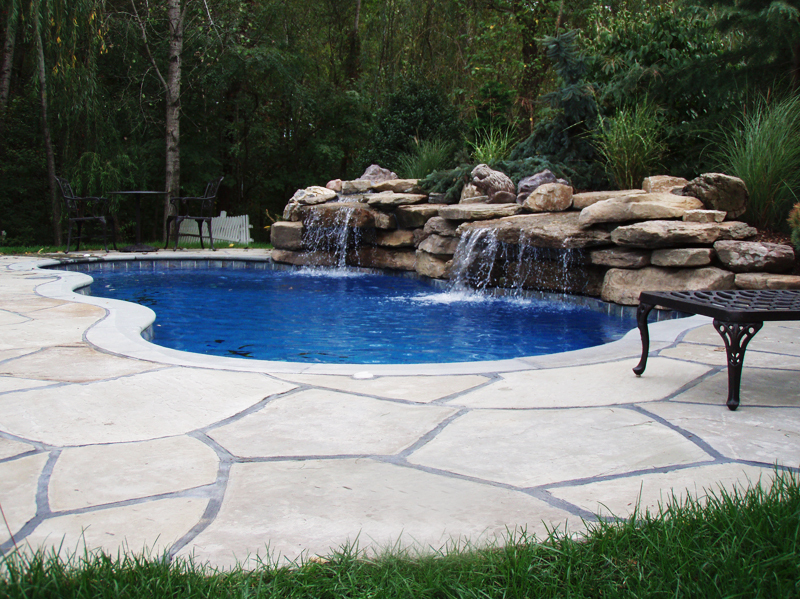 Ask your backyard designer about concrete options. 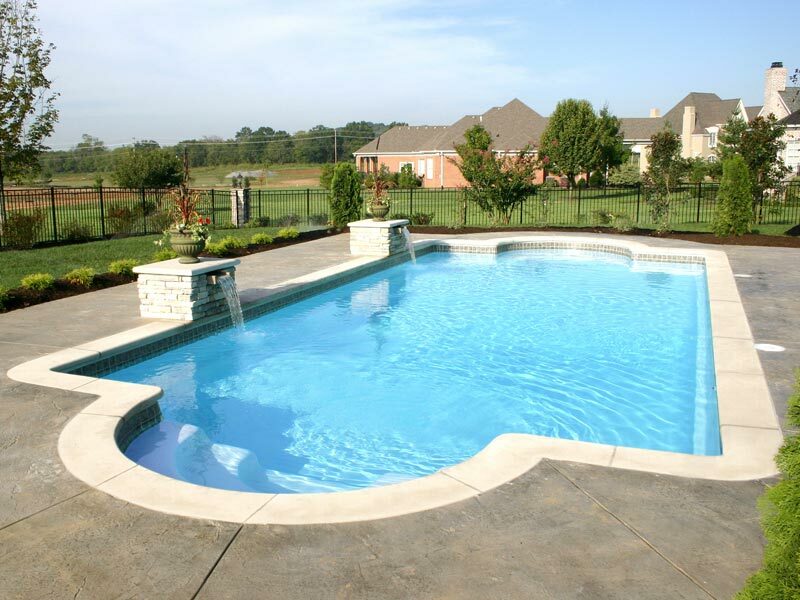 Aquamarine Pools (aquapools.com) exclusively uses Hayward Pool Products for all of its equipment, from pumps, to filters, to heaters and much more. 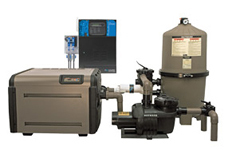 Hayward offers superior quality with a 1-3 year warranty on all of its equipment. 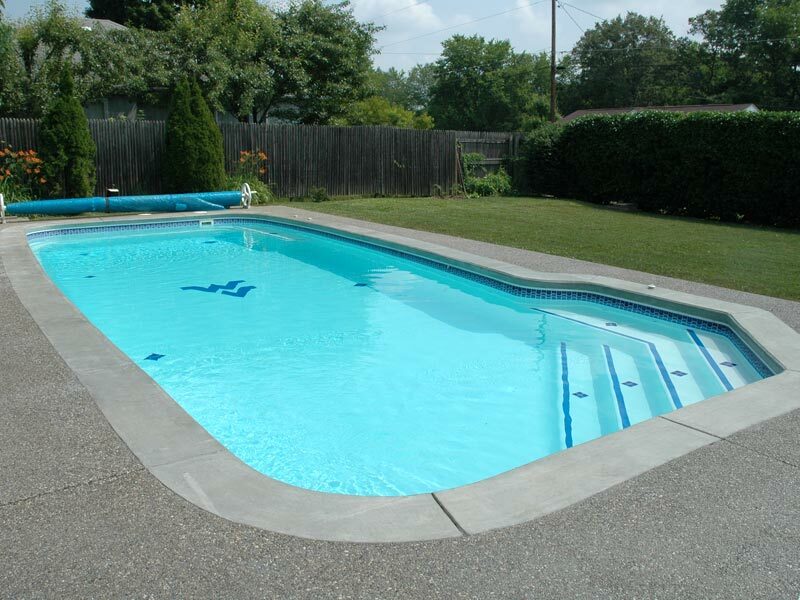 Please consult your salesman about the warranty and what options are available for your pool or spa. 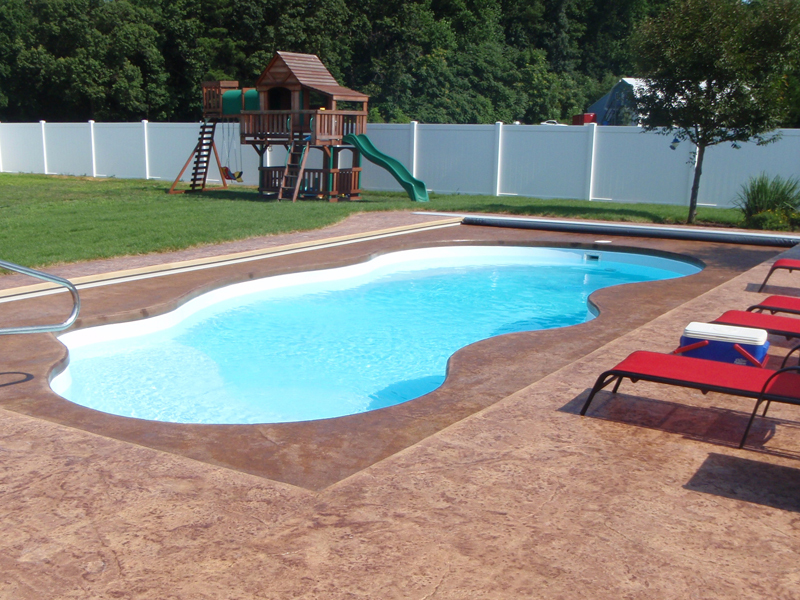 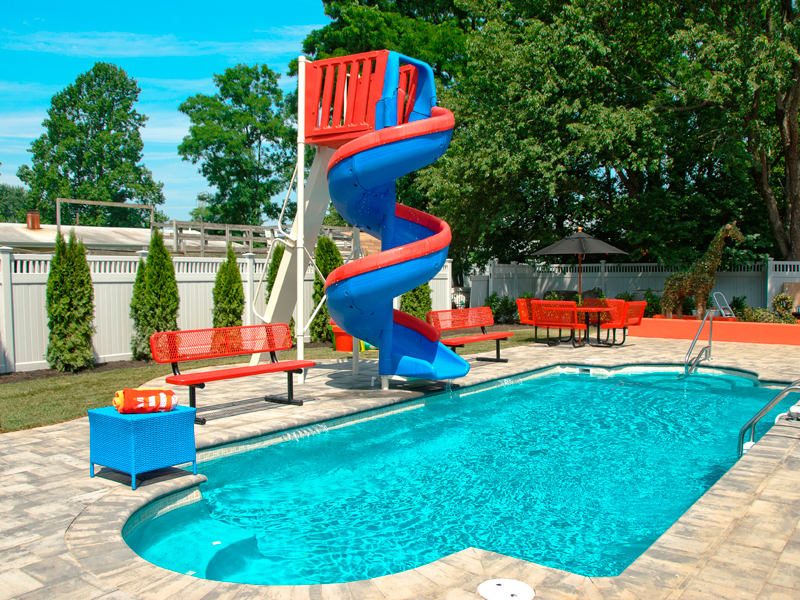 Visit the Hayward Pool Equipment web site to learn more about their products. 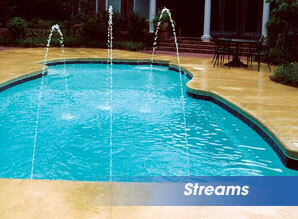 Aquamarine Pools offers the trusted Hayward name in swimming pool lighting. 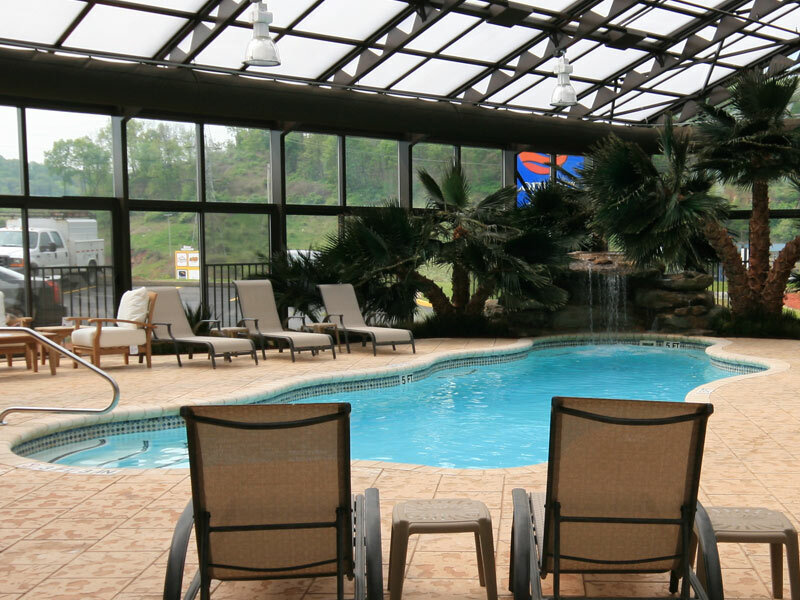 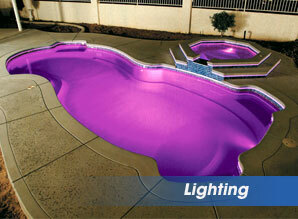 Aquamarine Pools offers the industry's most advanced LED's with Hayward's Color Logic LED Lighting System. 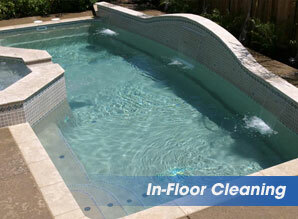 Visit Hayward's web site for more info here. 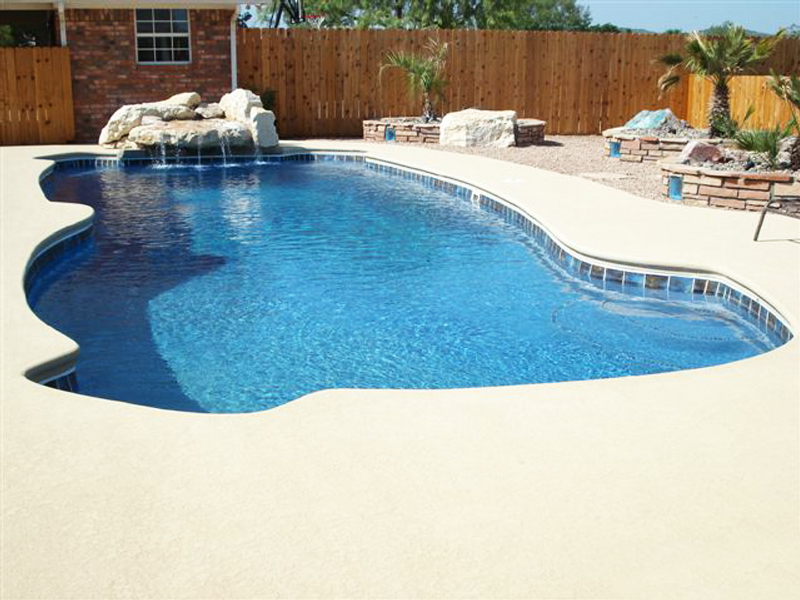 Aquamarine Pools knows that the safety is key, and with one of our safety covers you will not have to worry about your pets or children falling into pool while unattended. 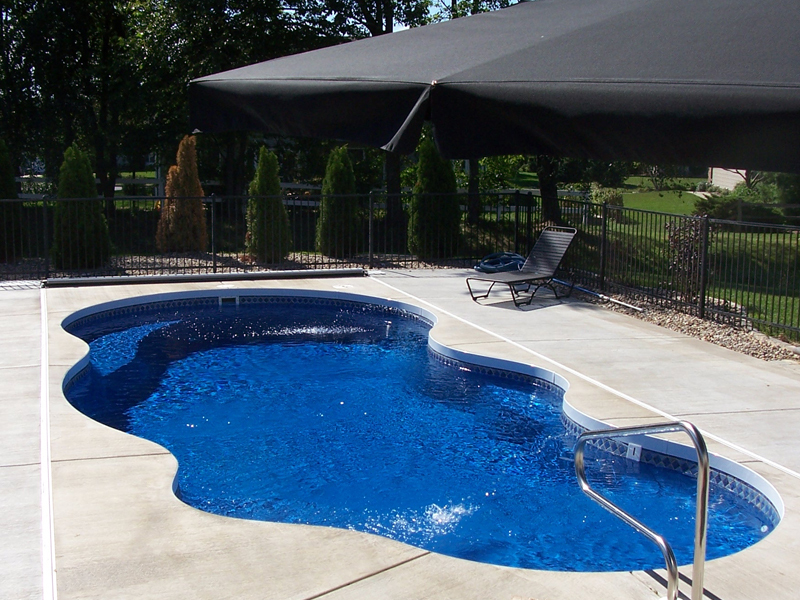 These simple but stylish safety covers come in tan, blue, or green: and they are offered with either solid vinyl or mesh style material. 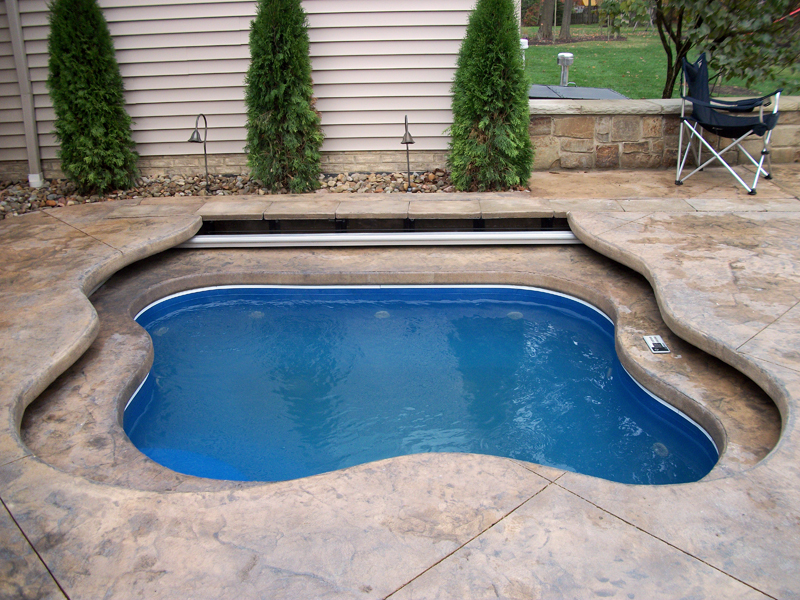 To secure the safety cover, brass anchors are drilled into the concrete and the straps attached to the anchors. 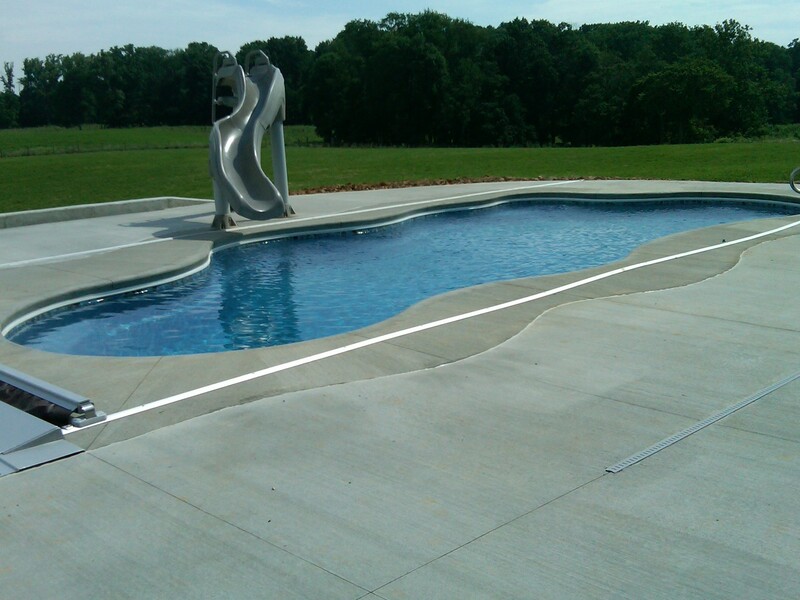 When the anchors are not in use the anchors are screwed flush into the concrete so you do not have to worry about anyone tripping over them. 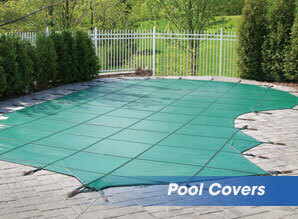 Automatic & manual safety covers. 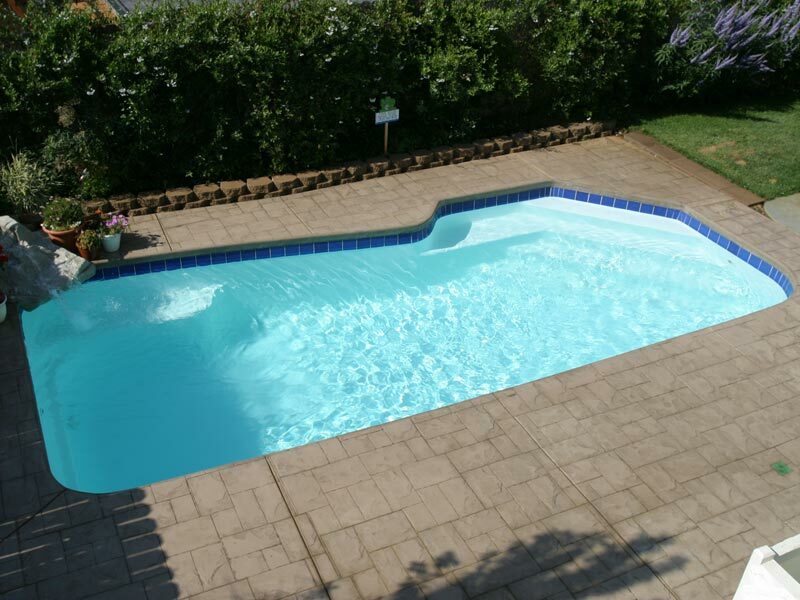 Taking a safety cover on and off can be a lot of work. 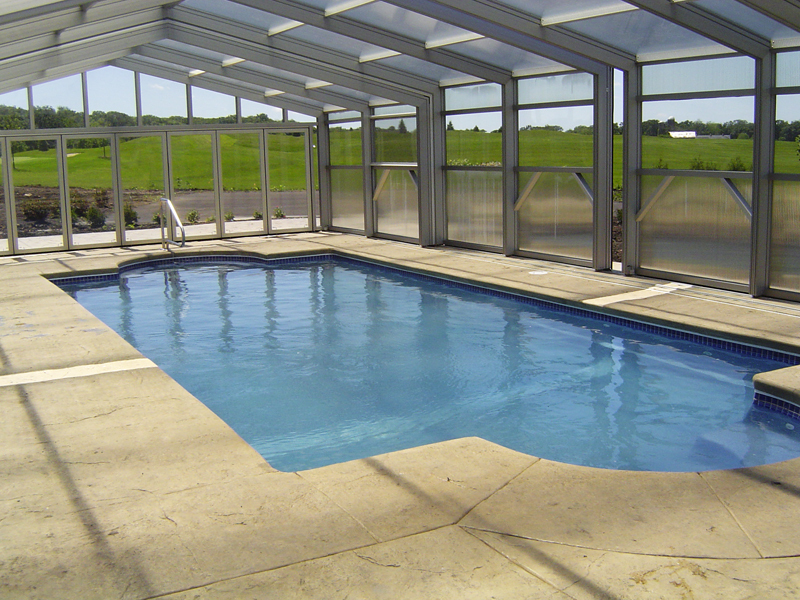 Aquamarine Pools offers both Manual and Automatic Safety covers for your pool. 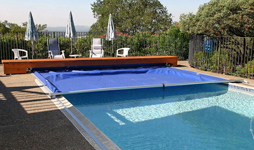 These safety covers are built into the ground and run on tracks. 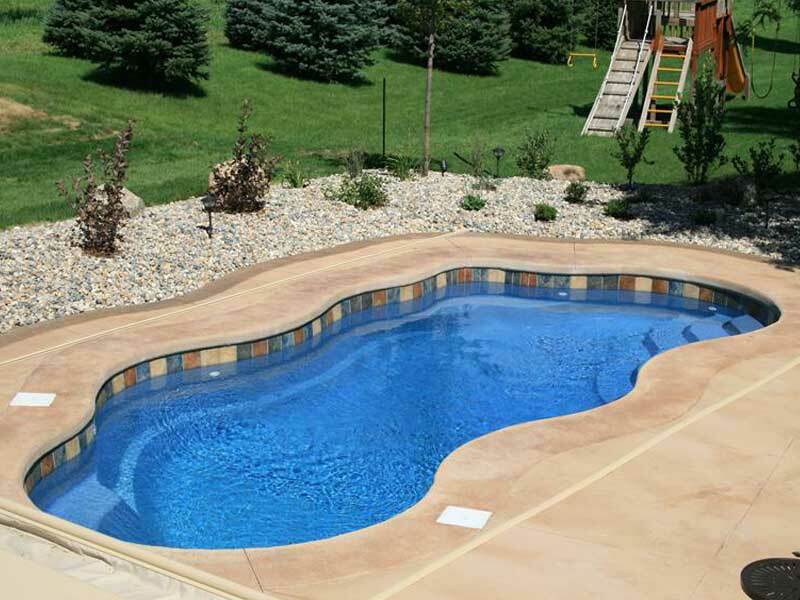 With the manual safety cover all you have to do is pull the cover to the other end. 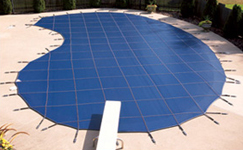 With the Automatic Safety cover it is as simple as turning a key and watch as your pool is covered for you in no time. 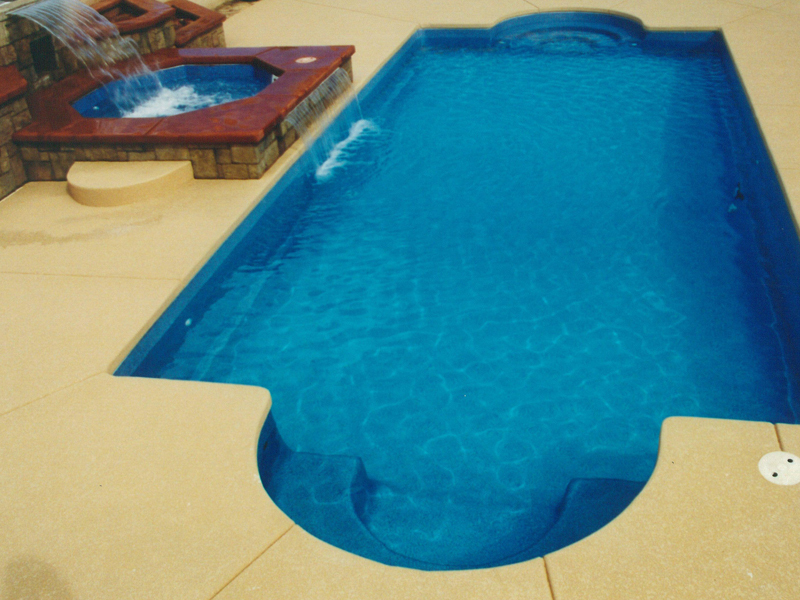 The tracks and the housing for the cover can be set on top or built into the ground and pool to hide them from view. 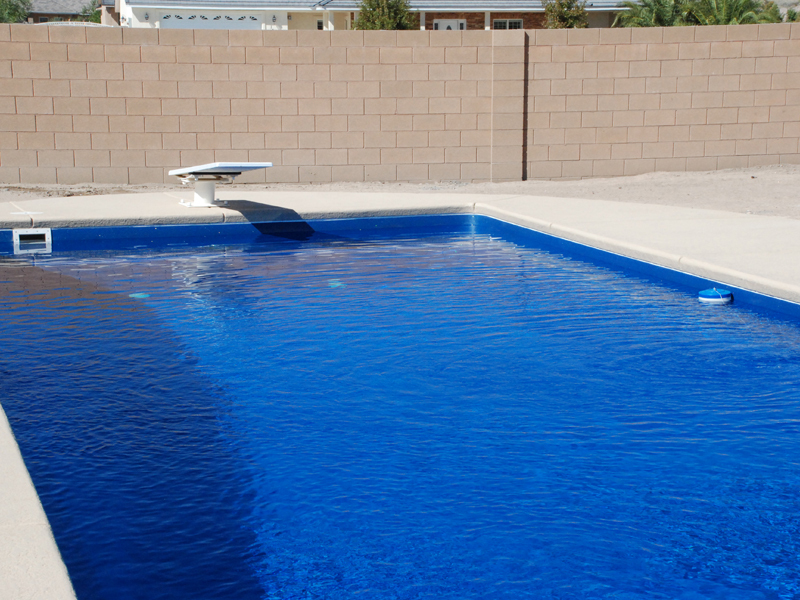 Aquamarine Pools offers a large variety of diving boards and other sports equipment such as volleyball nets and basketball backboards from both S.R. 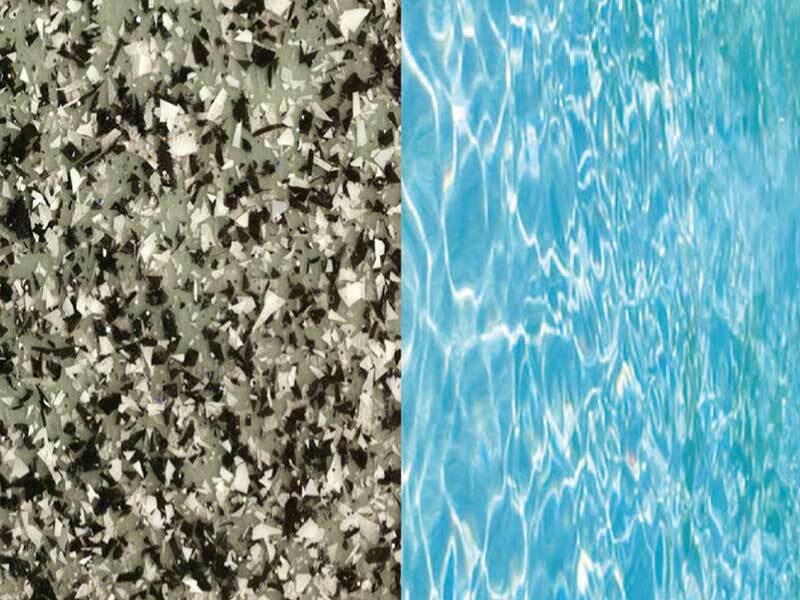 Smith and Interfab. 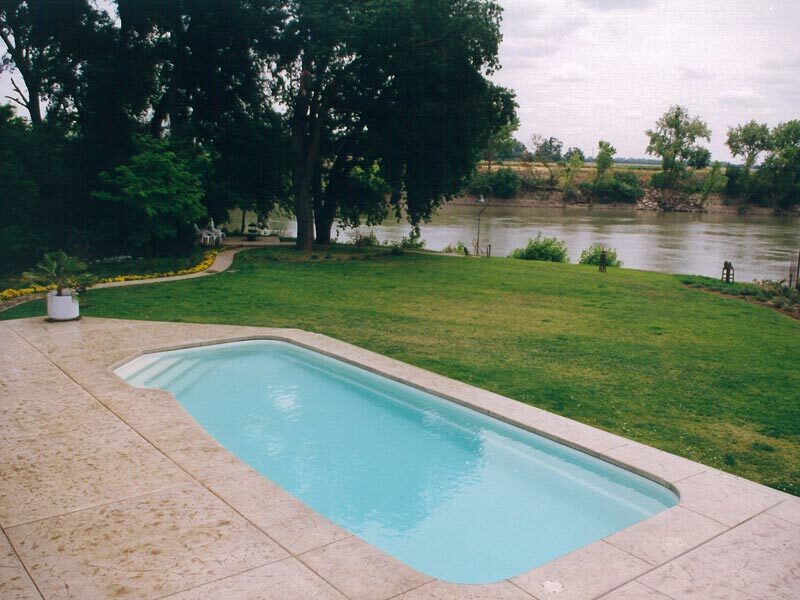 Visit S.R. 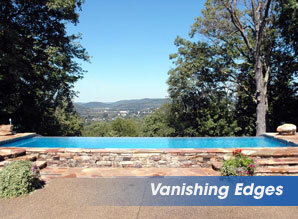 Smith's web page here and Interfab's web site here. 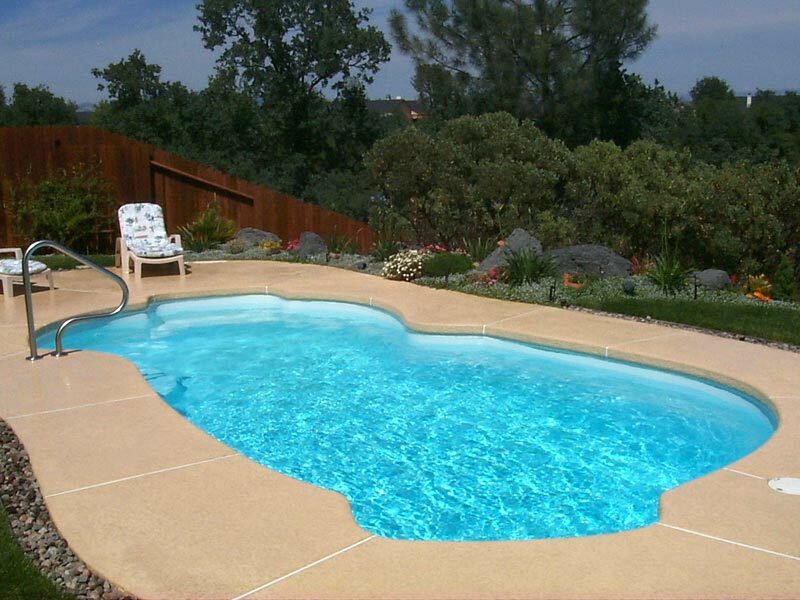 Aquamarine Pools offers a large variety of diving boards and stones for your large pool from both S.R. 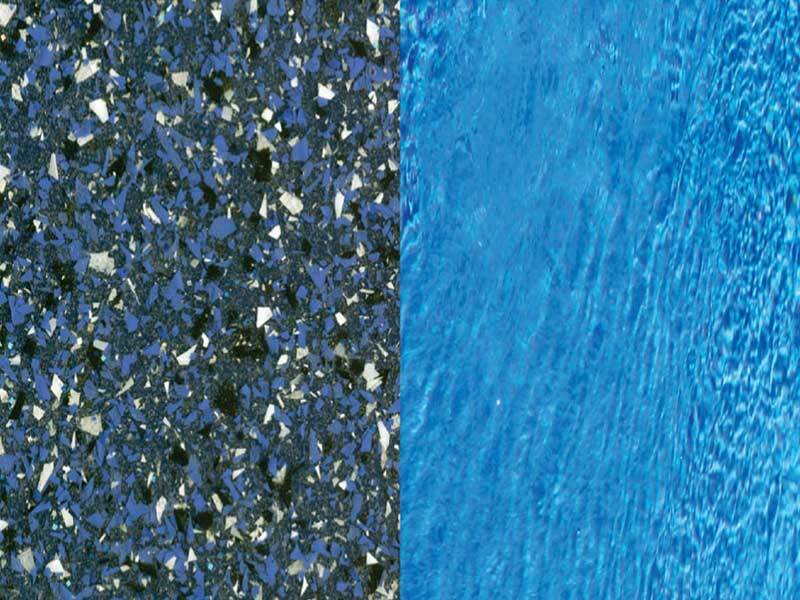 Smith and Interfab. 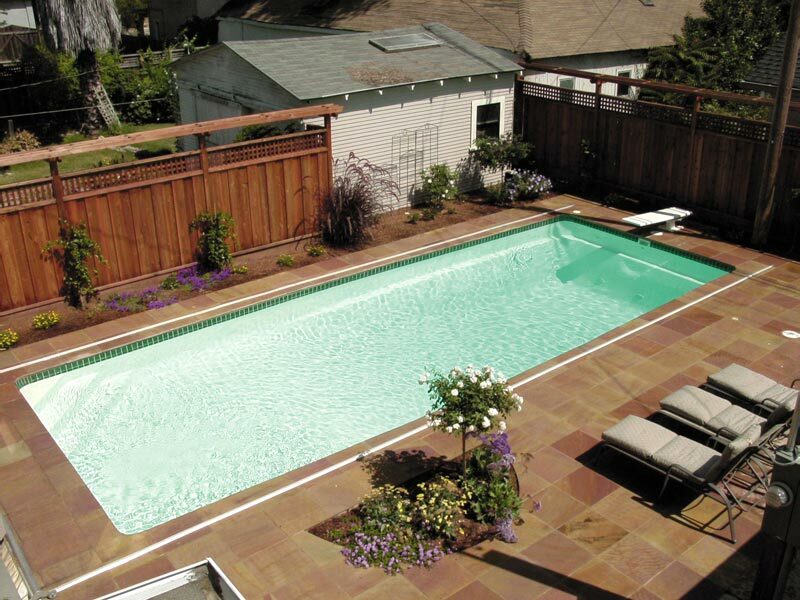 Please Keep in mind you must have a minimum of a 8 foot deep end in order to have a diving board because of safety regulations. 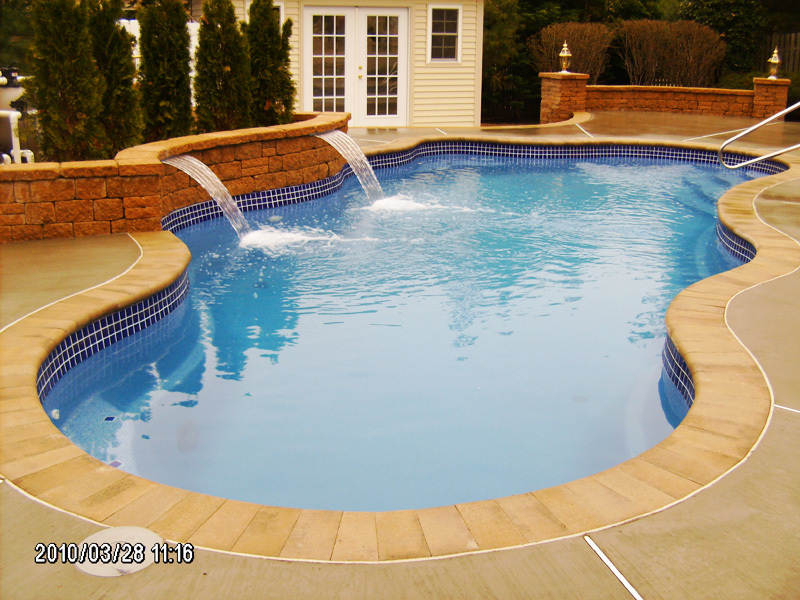 Click here to see the Viking Pools manufacturing proces, find out about the lifetime warranty or return to the main Pool Models page. 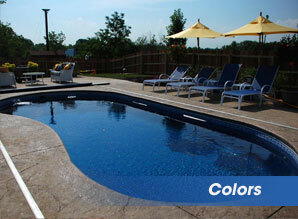 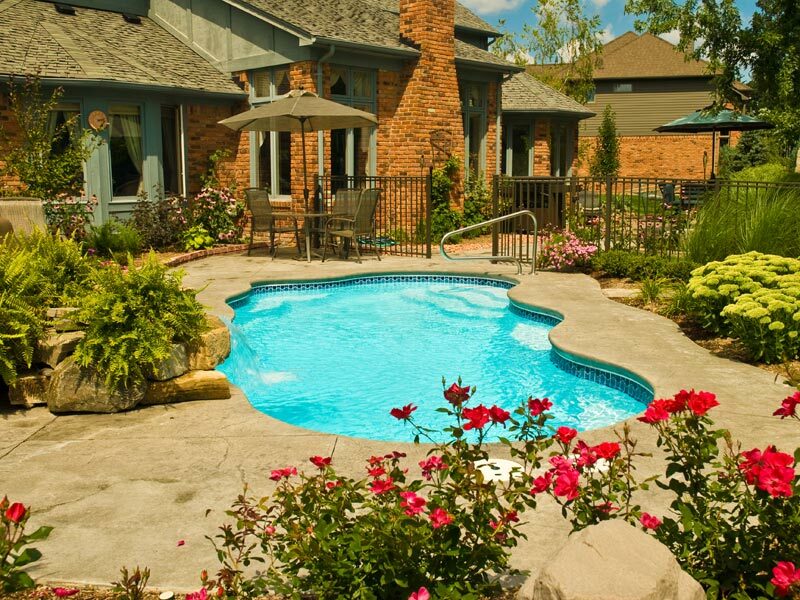 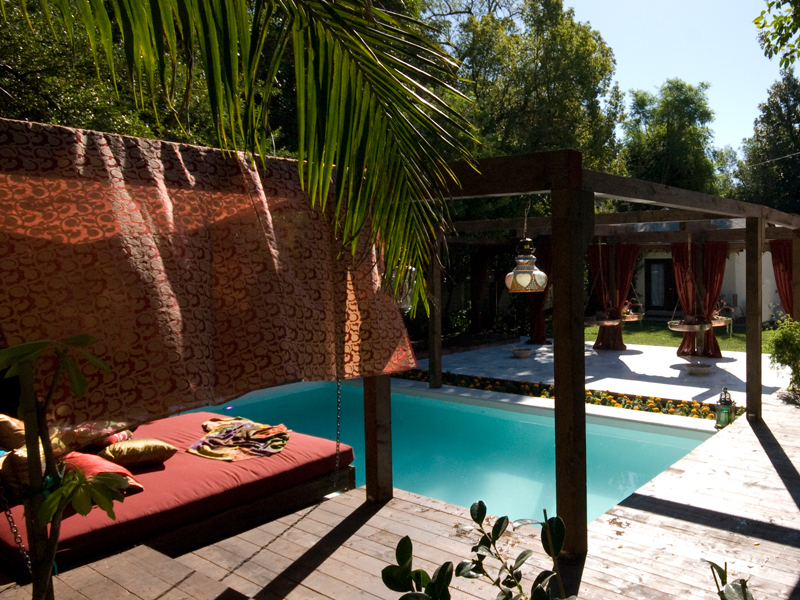 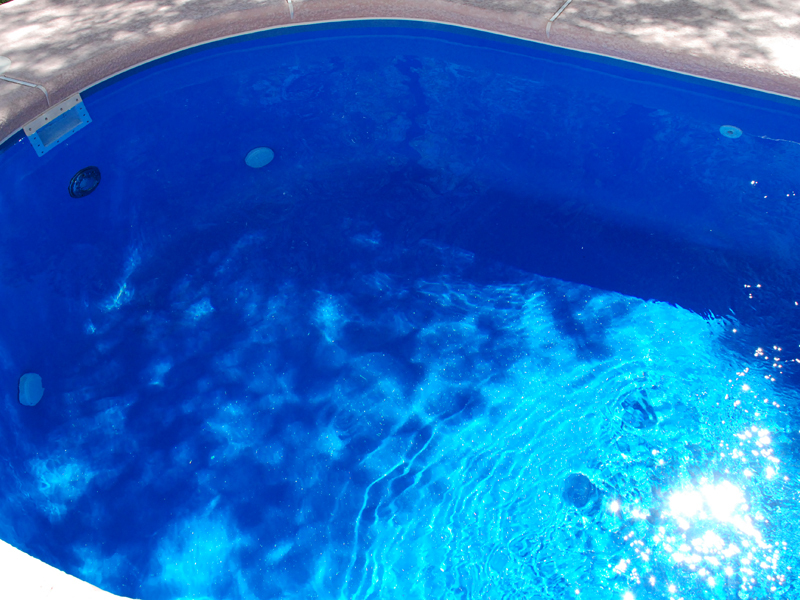 The color of your pool will have an impact on the pool's overall appearance and ambiance. 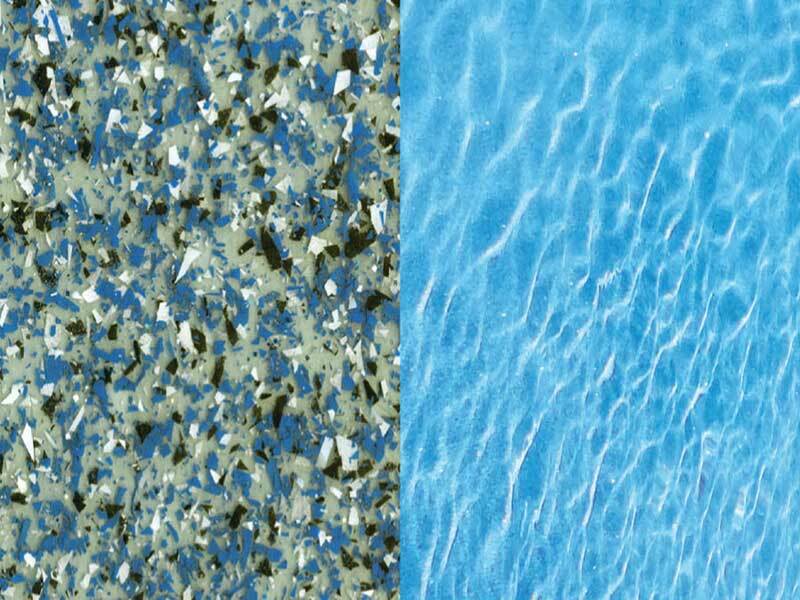 Choose from our standard colors or our exclusive Crystite® finishes to customize your Viking pool. 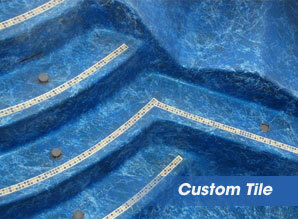 With the use of our Kaliedo-Center™ Custom Color Creator, you can totally customize the color of your new pool.